"Your unique paper cut, a reflection of your lifestyle"
Three days of dancing, singing and crafts. The TCE fund was established by Cynthia to help enable the cello classes at CCAE to continue in these difficult financial times, thus ensuring that others may receive the teaching and guidance that current TCE members enjoy. Read more..
A paper cut created to raise money for the Boston Symphony Orchestra. The minimum price is $3500.00 (plus tax for MA residents). The cut is kozo paper on rag board framed in a 31" square frame. 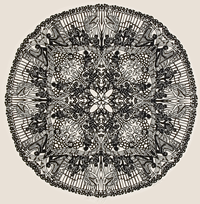 Leslie A. Miller's work is in many collections and has been included in various paper cut exhibits, including an invitational show at the Cooper Hewitt Museum of American Folk Art, NYC and the Fuller Craft Museum, Brockton, MA. Her distinctive art work captures the beauty and joy of your life. 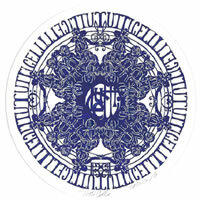 Have Leslie create an original framed paper cut based on your ideas, loves, and interests. Copyright ©2006 Leslie A. Miller . Site designed and hosted by Game Face Web Design.